Lift those legs, lift those legs, lift those lovely lovely legs! Here is a real wowzer stamp. It has so much going for it (and on it). On 24 October 1946 New Zealand issued two engraved semi-postal stamps (Scott B28-B29) that are perforated 13-1/2x13 and on paper watermarked with multiple N Z and star (Scott wmk 253). This dark brown and orange brown two-pence plus one-pence is the higher denomination. The lower is the dark green and orange brown one-pence on 1/2-pence stamp. 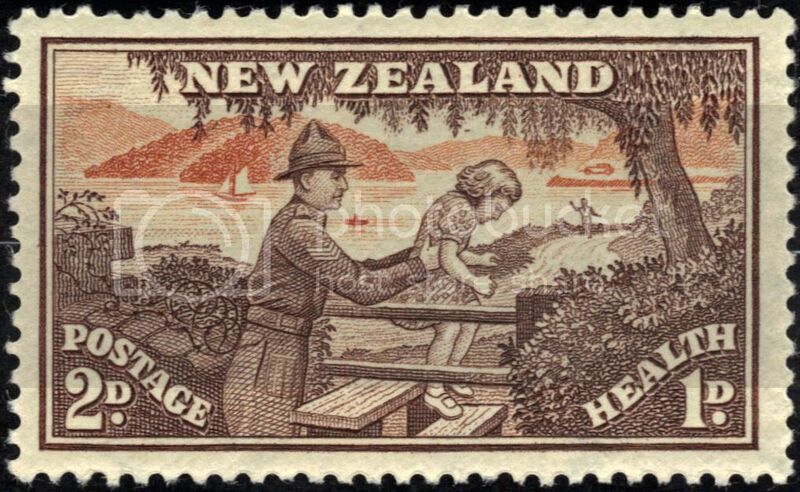 Depicted on these stamps is a man tossing a child into the bushes. Of course not, but well, that is what it looks like at first glance. And that is why I started to spend more time than I should looking very carefully at the details on this stamp. If you look closely, between the little girl's head and the tree trunk, in the background, one can see a human (can not make out whether it is male or female with a thick neck and wearing shorts, by the way) frantically waving at the man wearing a pointy hat as if trying to stop him from harming the child. The Scott Catalogue clears up this situation by identifying the stamp as, "Soldier Helping Child over Stile." Whew. That makes the scene a whole lot less dire. I was worried there for a moment. But let us not stop here. There is plenty more going on within the four corners of this picture. Let me mention just one word -- "thematic." Naturally, this stamp is a "must have" if a person collects trees-on-stamps. I am not an arborist so I can not identify what type of tree that is displayed on this stamp. To me it looks like some kind of willow, only because of the shape and dangle of the leaves. However, I know of no trees that are translucent. I can plainly see the orange brown shaded shoreline behind the tree passing right through the trunk. I am not going to even try to make a guess at what kind of bushes these are. Also, this stamp quite easily falls into the theme of military-on-stamps. 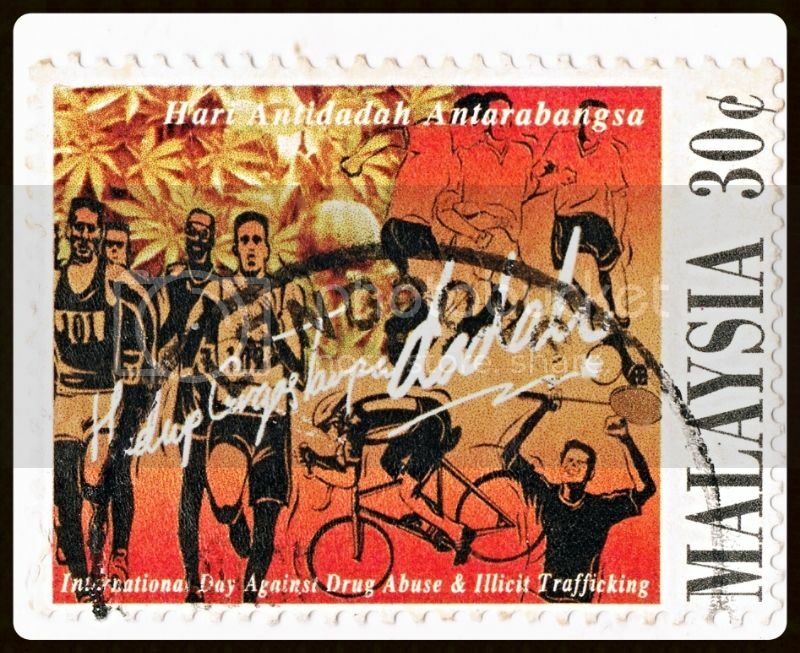 Not only does this stamp have a scowling sergeant (supposedly doing a good deed) depicted, it also has barbed-wire, sandbags, and (what I assume off to the far left) a military bunker. Mountains-on-stamps? Well, at least they are pretty steep hills. It definitely has a sailboat, thus qualifying for a ship-on-stamp thematic. However, I am not quite sure what that other thing is sitting there in the water (between the sergeant's chin and the little girl's back). Is that Tom Sawyer (sans Joe) on a raft? Can it be the USS Monitor ironclad making a miraculous reappearance after sinking in 1862? Maybe it is a submarine in the process of submerging? Or, just a buoy? This stamp can be include in the bird-on-stamp category. Look under the "NE" in New Zealand, just below the crest of the orange brown mountain (hill?) and above the sailboat. Do you see the dark brown sea tern? Yes, it is there. 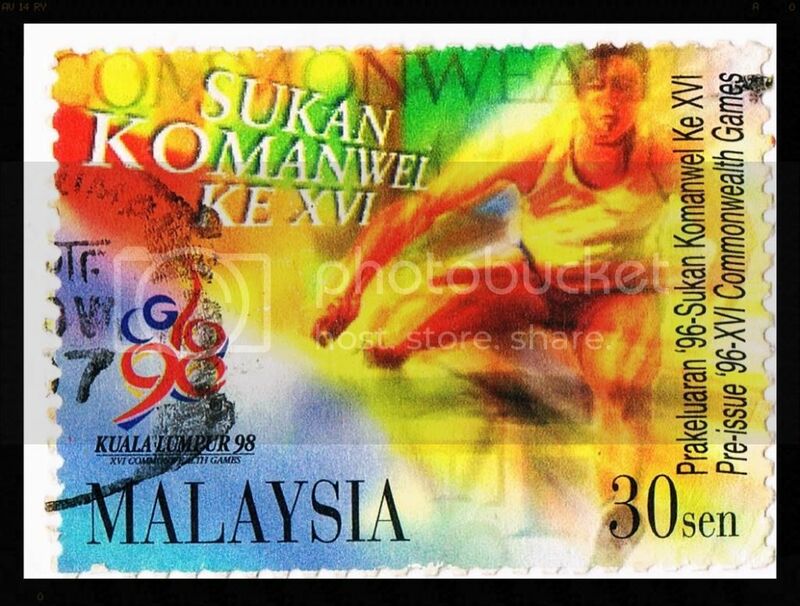 Our thick-necked person wearing shorts qualifies for running (or runner)-on-stamps. Automobile enthusiasts would be interested in the classic automobile pictured there on the shoreline betwixt the runner's noggin and the tree limb. Good luck identifying what kind of car is shown. It looks like a Pierce-Arrow to me. So this makes this stamp a car-on-stamp, or a transportation-on-stamp collectible. But that is not all. Look. Up in the sky. Is it a bird? Is it a plane? 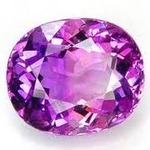 or something else, like a flying saucer or a dingle-berry falling from the tree? I am talking about that dark brown speck straight upward from the child's nape just before getting into the weeping willow leaves of the tree. The only thing I know for certain is that it definitely is an unidentified object, whether it is flying, floating or dropping in air. Yeppers, I do enjoy active stamps. But one just has to wonder what is the story behind that little gal fooling around on the wrong side of the fence. 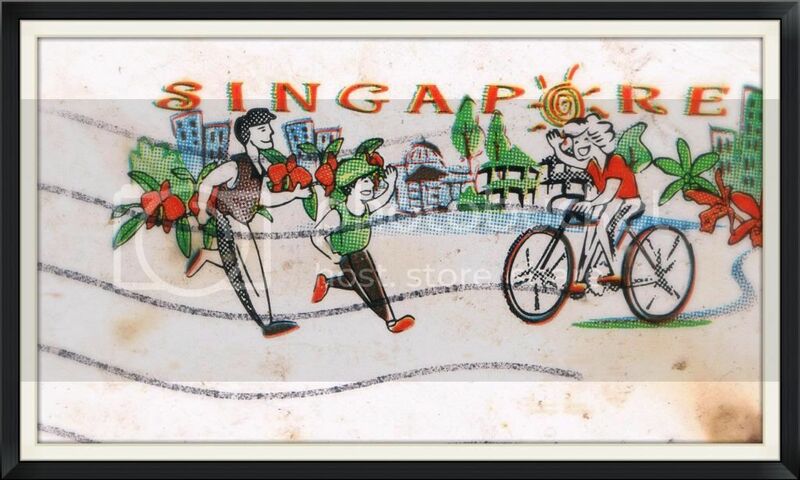 The popular Health stamp series has been issued every year since 1929. Part of the money from the sale of Health stamps goes towards the running of Health camps. The first Health stamps had the word CHARITY written on them but the word on the stamps was changed to HEALTH in 1932. No mammal runs faster than a cheetah, as we all know. "Non-traditional maximum card demo". Stamp from the Republic of South Africa. 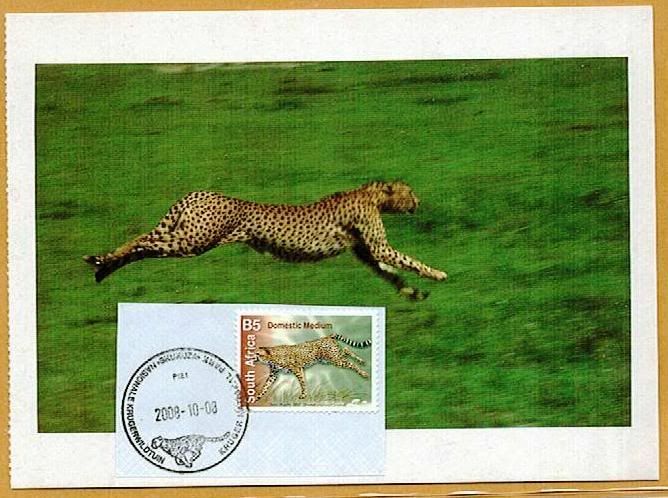 Postmark from the Kruger National Park. Gordon Lee, my friend, your NZ post is a masterpiece of philatelic research, with keen and funny observations. Bravo!